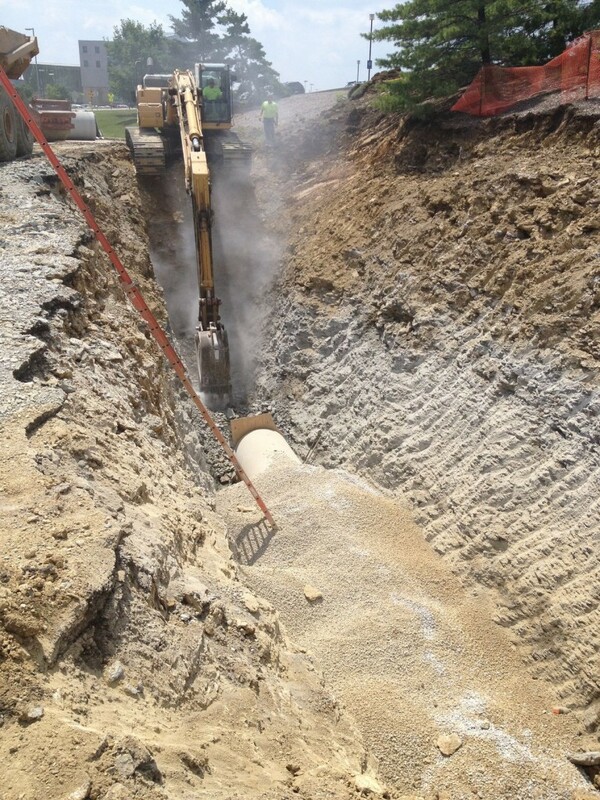 This was the installation of a new storm sewer system to replace an existing storm sewer that had failed. 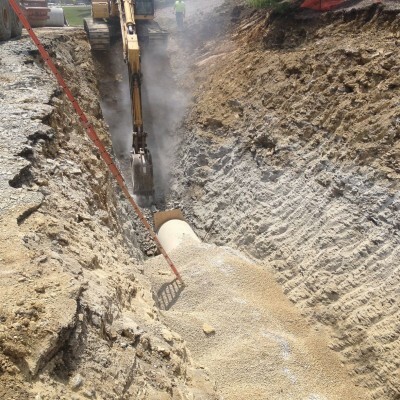 Bray Construction had to install over 1,000LF of reinforced concrete storm pipe ranging in sizes from 42” to 12” along with associated manholes, catch basins and headwalls. 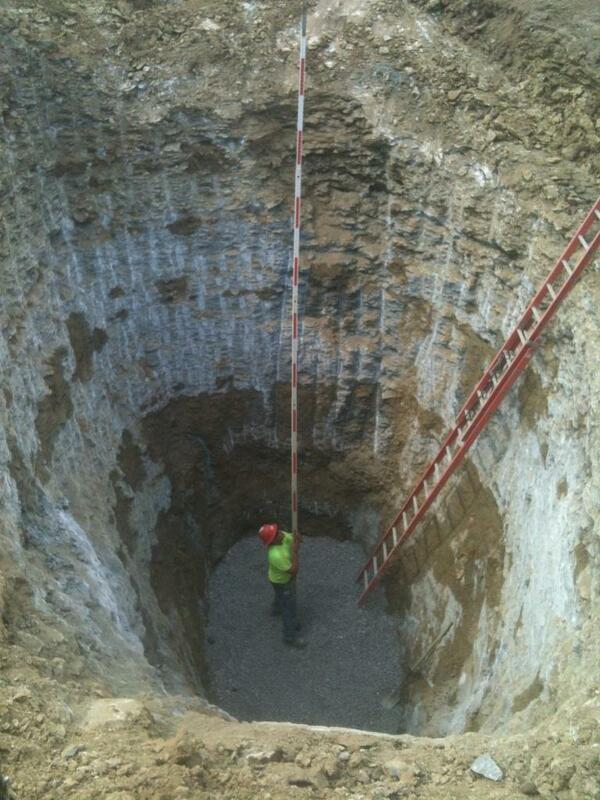 The sewer average 20’ deep with the majority of it being in shale & limestone. 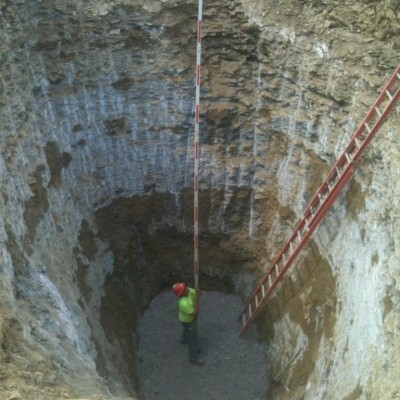 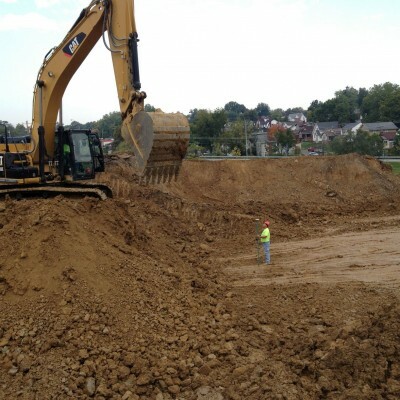 We had over 3,000CY of rock excavation in order to install the sewer. 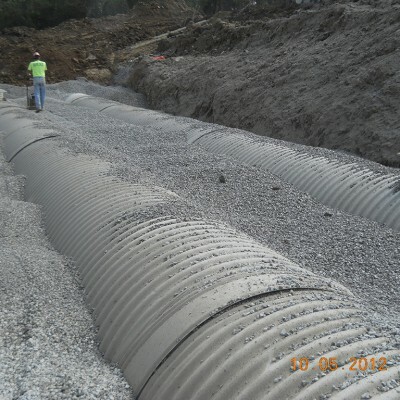 Once the new sewer was in place, we then filled, sealed and abandoned the old sewer, and restored the existing asphalt pavement. 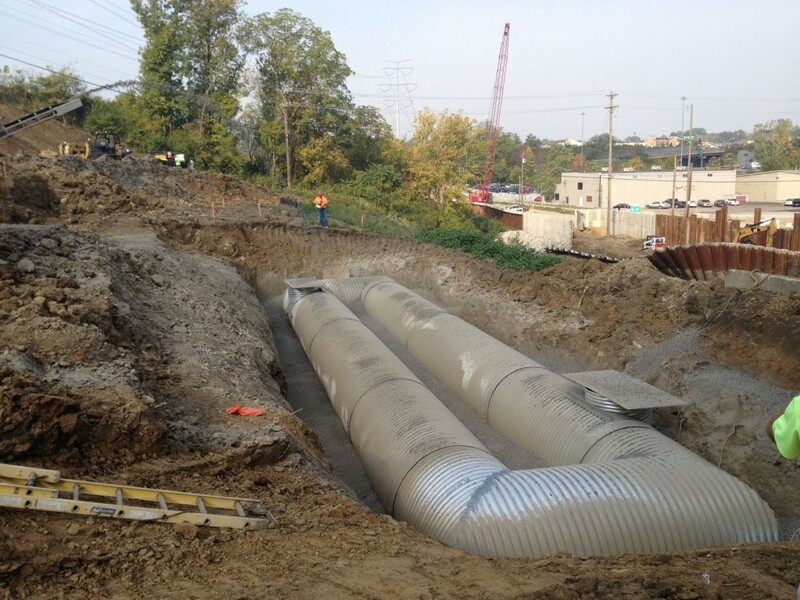 The sewer construction consisted of dealing with rock, ground water, and multiple existing utility crossings. 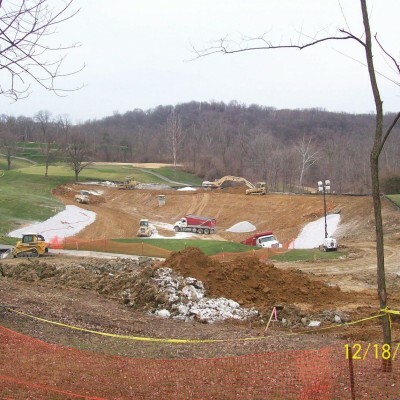 Bray Construction installed a pump station that drew water from an existing lake and pumped it 2,500 LF up to an irrigation pond on Devue Park’s Golf Course. 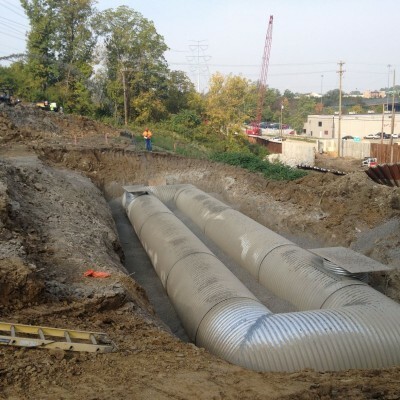 At the existing lake we had to install an intake pipe for the pump station and a new overflow structure to help regulate the level of the lake during rain events. 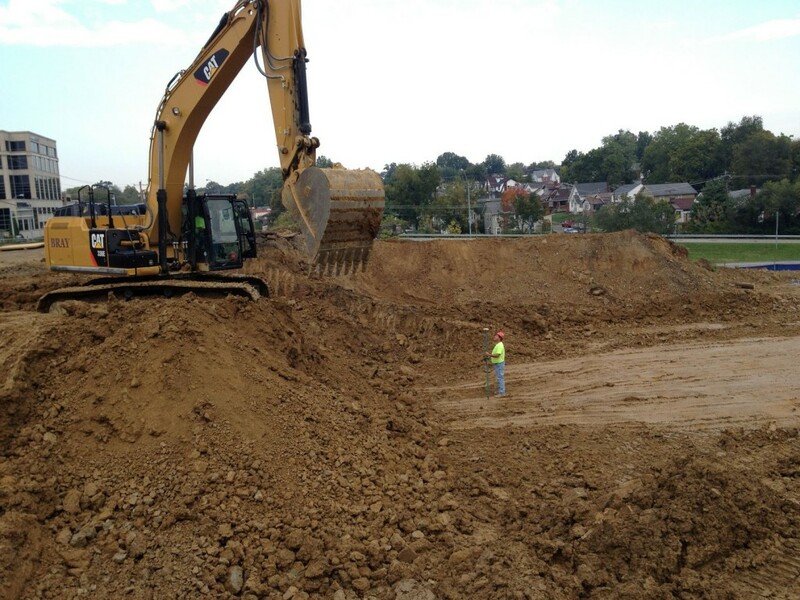 At the location of the irrigation pond, we excavated out the sediment in the pond and increased its size. 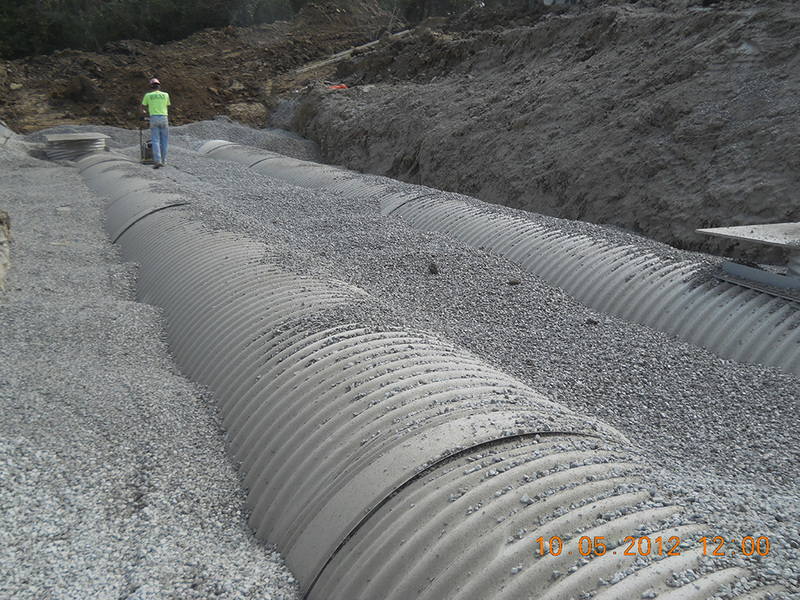 We also installed a new clay liner in the pond to fix the seepage problems. 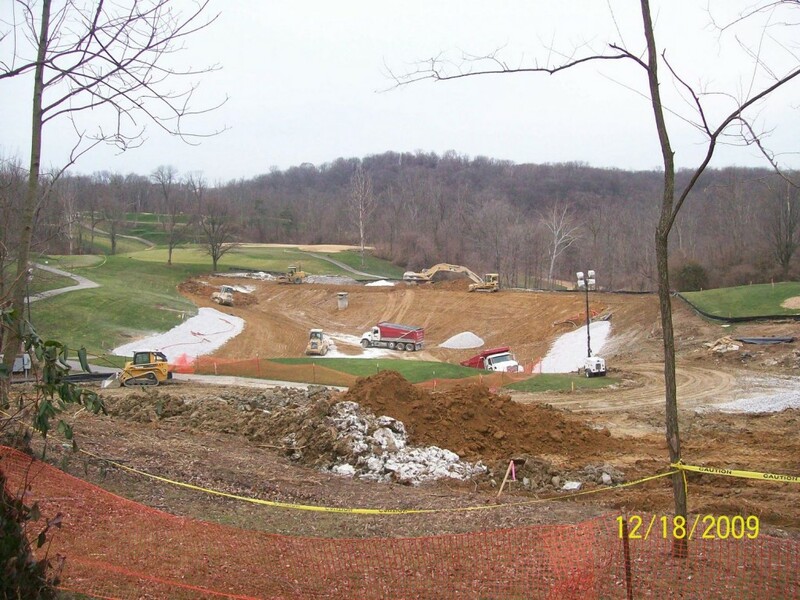 With all the excavation on the golf course we ended up with about 15,000 SY of golf course restoration which included regarding and sodding fairways, rough, and tee boxes. 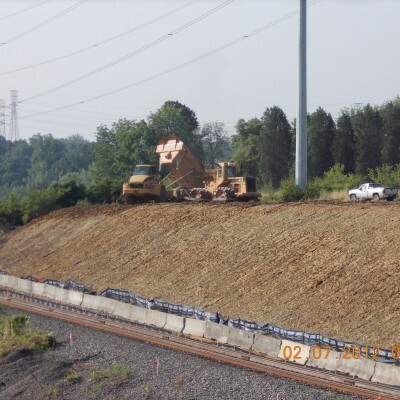 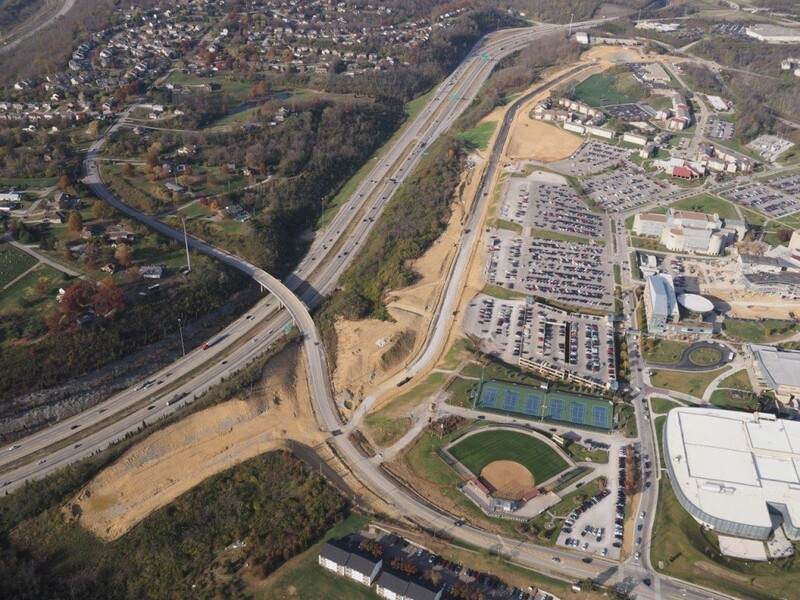 This project was the construction of a new roadway and modifications to existing roadways. 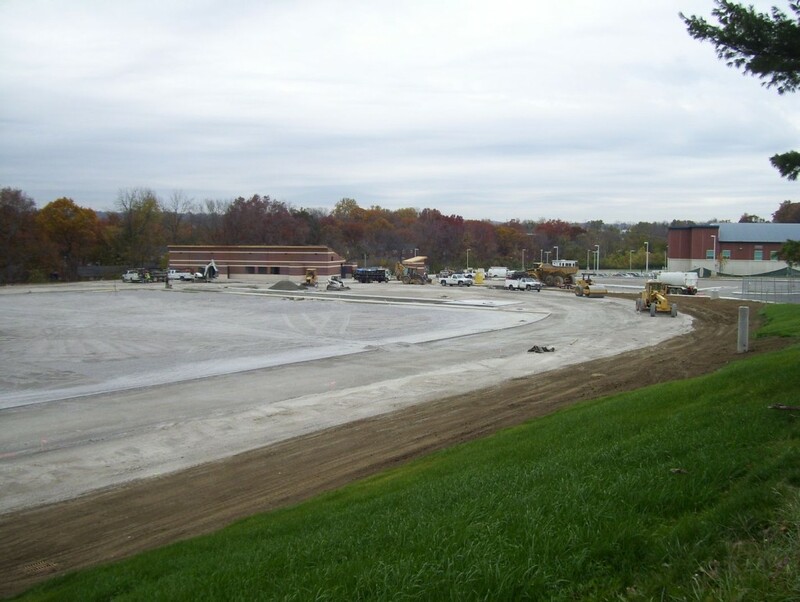 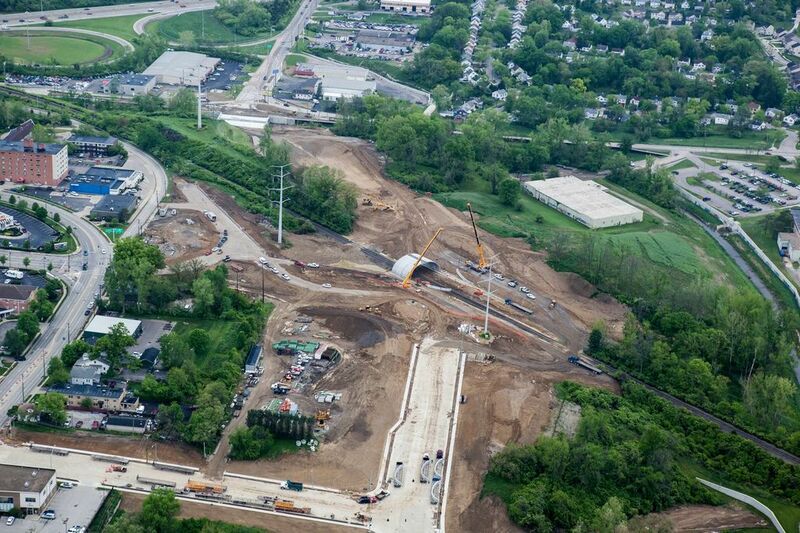 The project consisted of over 100,000cy of excavation & embankment, 27,000SY of pavement grading, installation of 6,000LF of new storm sewer including two underground detention basins, pavement demolition, and utility demolition. 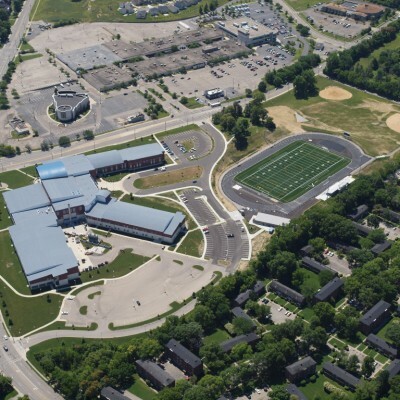 The Woodward High School demolition and stadium project consisted of the removal of the existing 75,000 square feet 3 story existing Woodward High School and developing a new athletic complex. 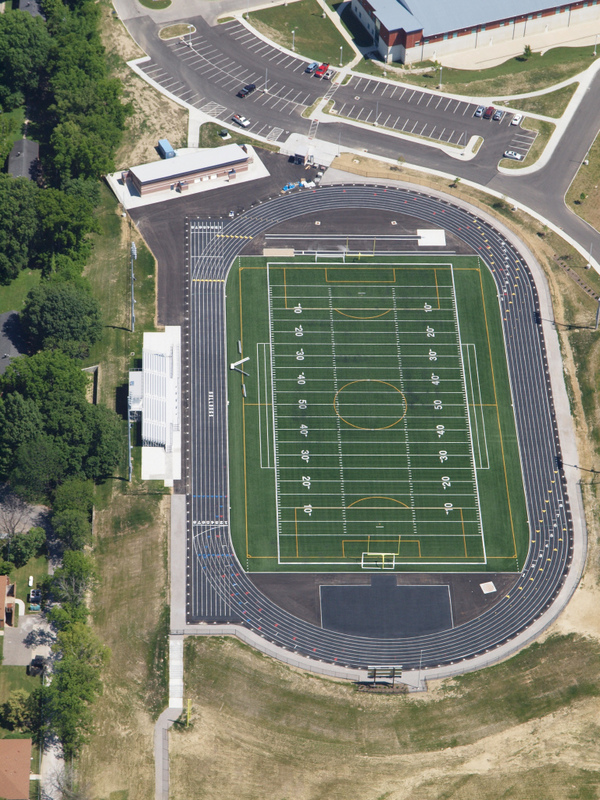 New construction included the installation of a synthetic turf athletic field that was surrounded by a NFSHSA regulated track with a synthetic latex surface, grandstand with press box, restoration of an existing baseball field, and the construction of a 3000 square foot field house that contained locker rooms, restrooms, and concessions areas. 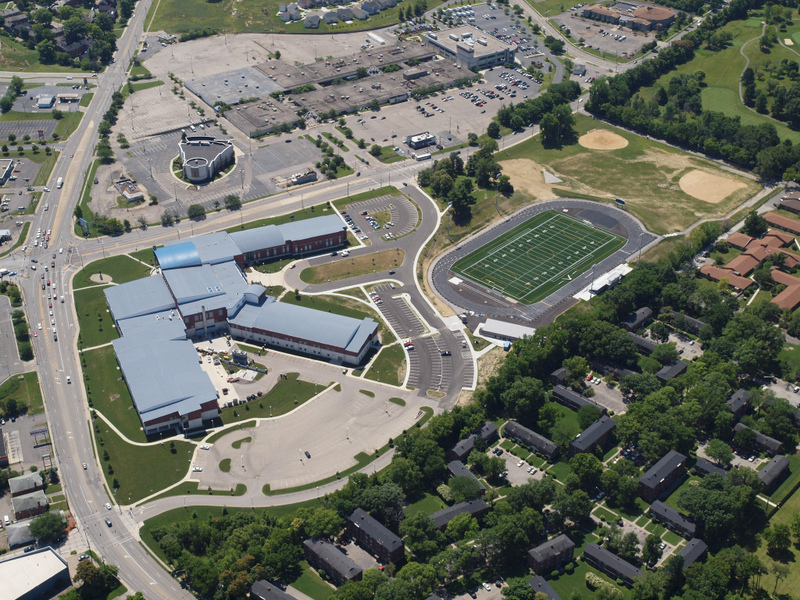 This project consisted of safely scheduling and coordinating numerous sub-contractor and self-performance work while accommodating Cincinnati Public Schools to keep school in session through the fall, winter, and spring months. 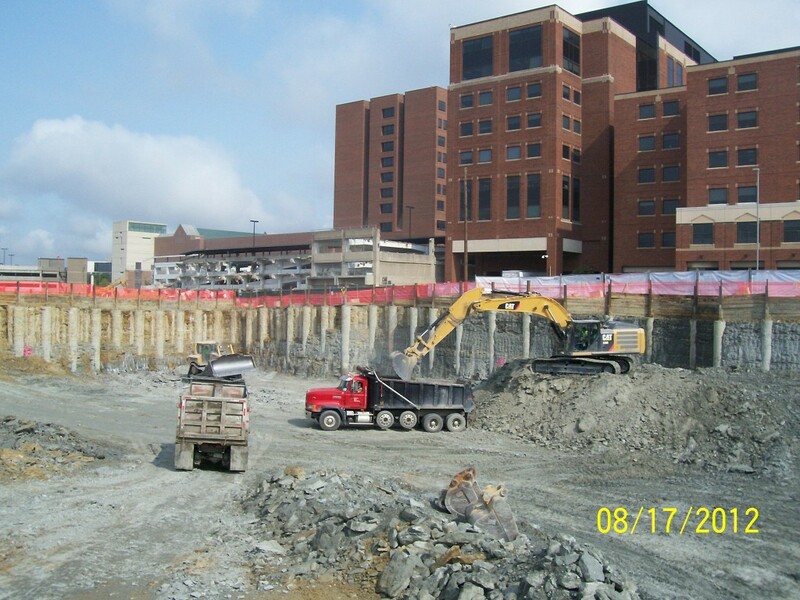 The project consisted of multiple phase of construction for the Christ Hospital Campus. 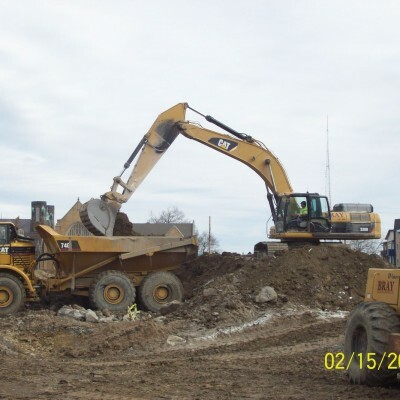 Mass Excavation and Site work for the New Auburn Garage and the Orthopedic and Spine Center, relocation of existing utilities and installation of new utilities. 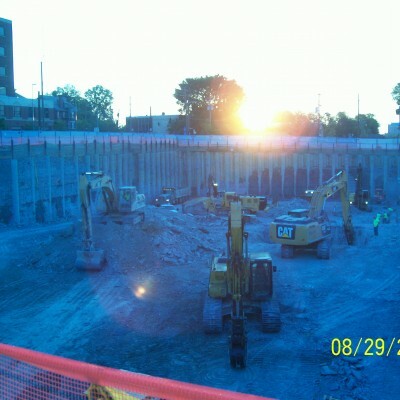 Due to the Hospital remaining open for business, All of this work had to be coordinated with the Hospital and Construction Manager to maintain access for the Hospital staff, Patients, Visitors and Emergency Vehicles. 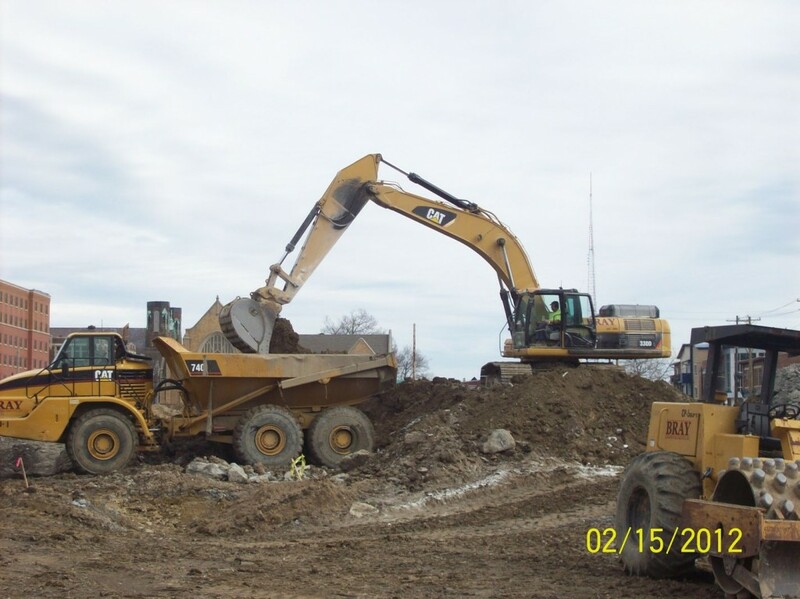 This project consisted of site demolition of roadways, sidewalks and underground utilities as well as excavation to create garage and bldg. 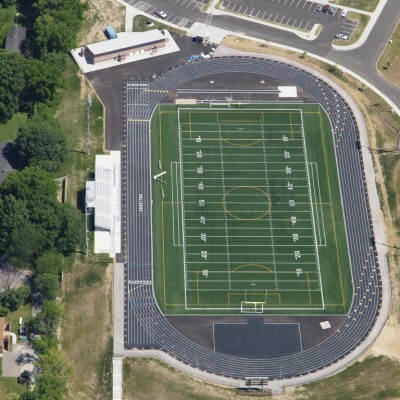 pads. 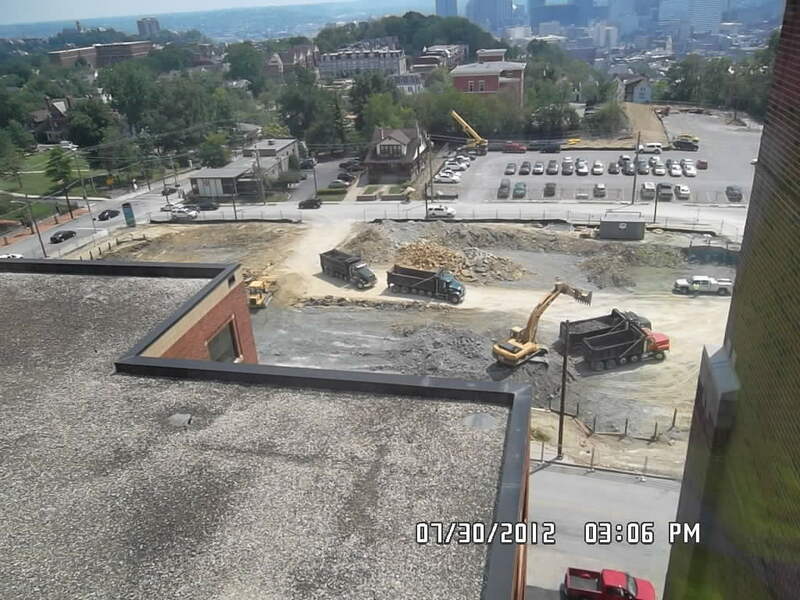 Due to the site being previously developed, rubble and bldg. 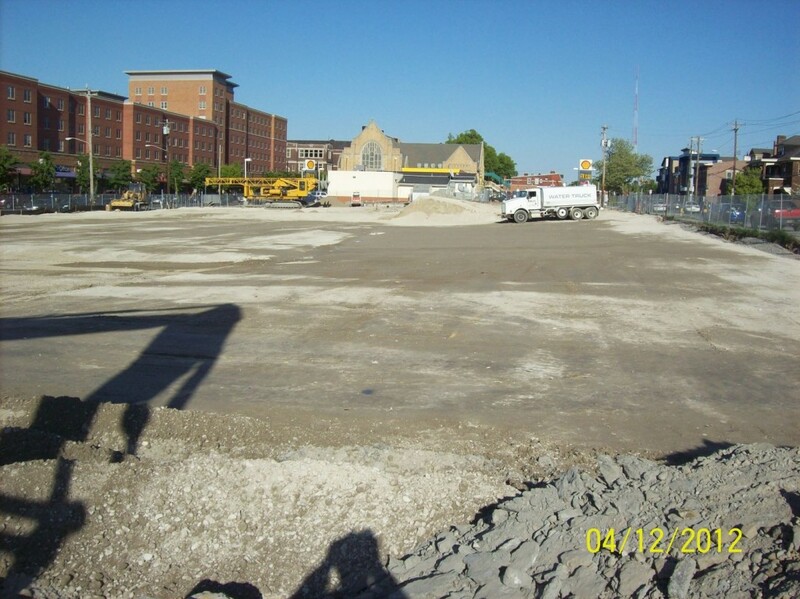 debris was present at the site as well as poor soil conditions. 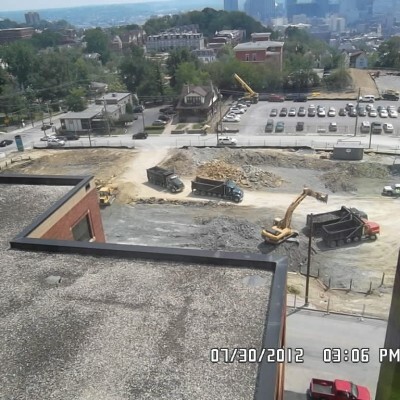 By coordinating with the Construction Manager and Geo Tech, we were able to utilize as much of the material as possible and haul off the material that was not usable. 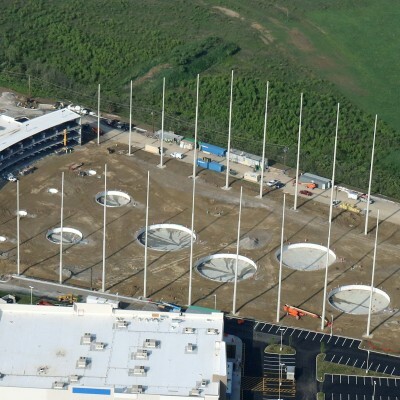 This project consisted of the construction of a unique 65,000 square foot entertainment facility located in West Chester Ohio. 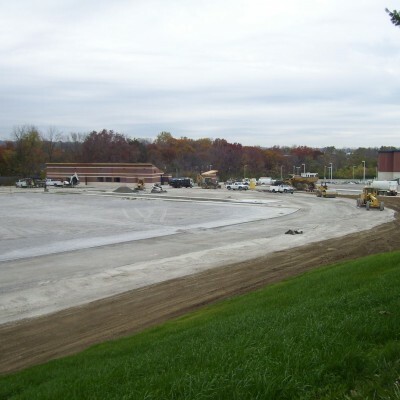 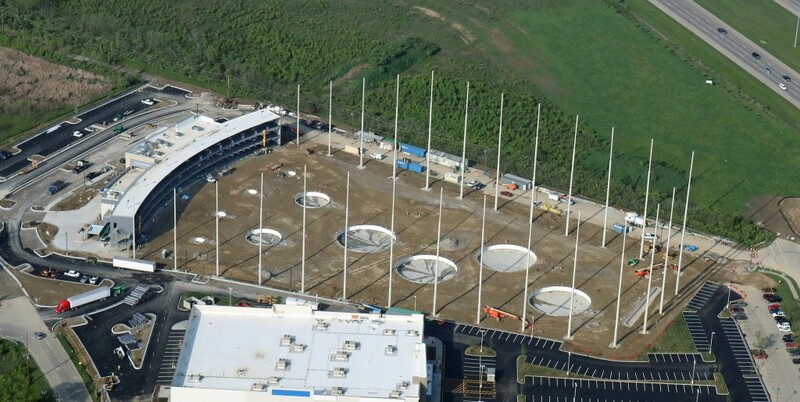 New construction included the earthwork and site utilities for the new building, surrounding parking lots, and a 240 yard synthetic turf outfield with dart-board like targets. 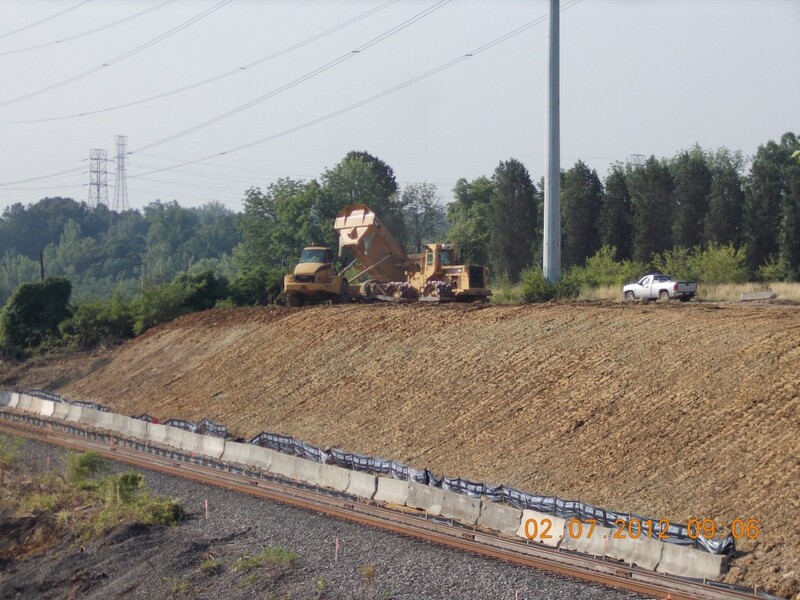 Early site work began in August of 2015 and ended in 2016 three month ahead of schedule. 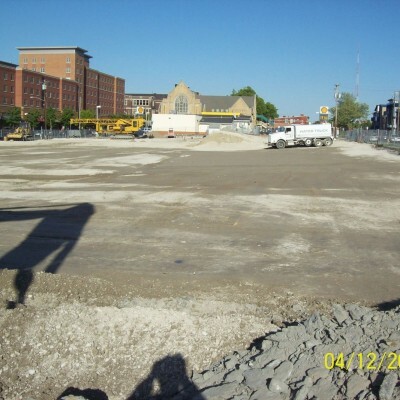 The project was to be constructed in Phases so full access to the Hospital could be maintained. 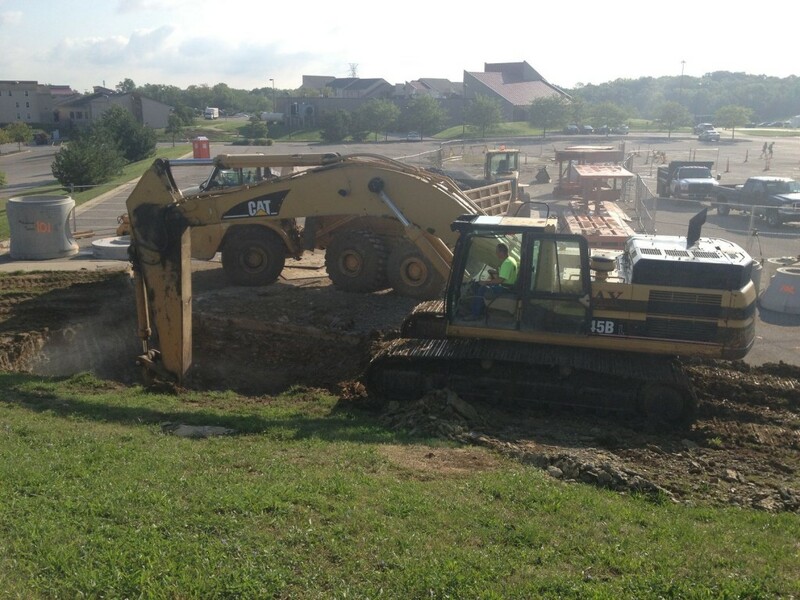 For this reason, working in small congested areas was required. 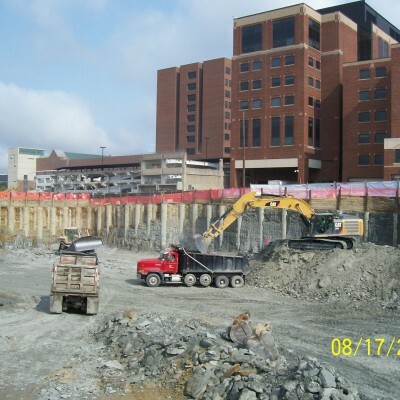 The work consisted of Site Work and Underground Utilities for the New Bed Tower and Renovations for Mercy Hospital Anderson. 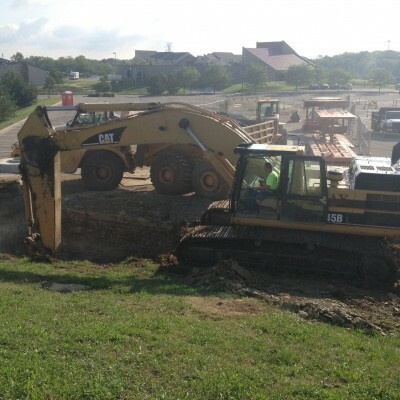 The job is currently ongoing. 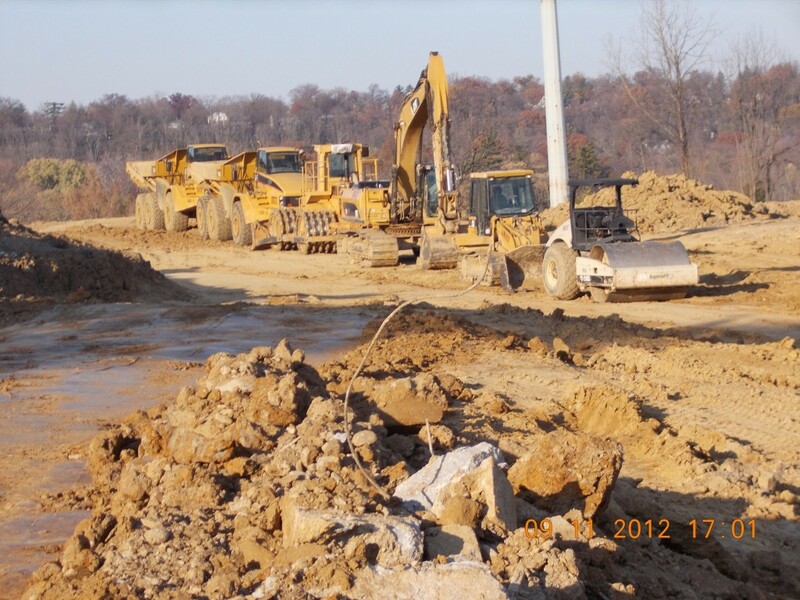 This project is the construction of a new one mile long connector road for the Kentucky Transportation Cabinet. 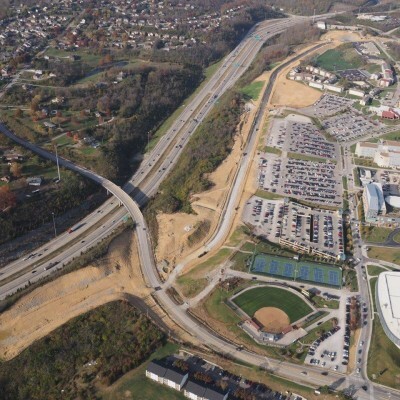 The new road will connect John’s Hill Road to 3 Mile Road in an effort to reduce traffic congestion in and around Northern Kentucky University. 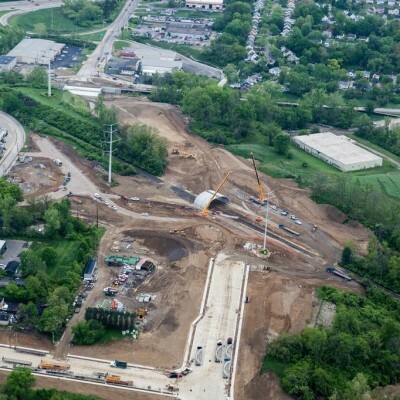 The project is scheduled for Final Completion in early 2018. 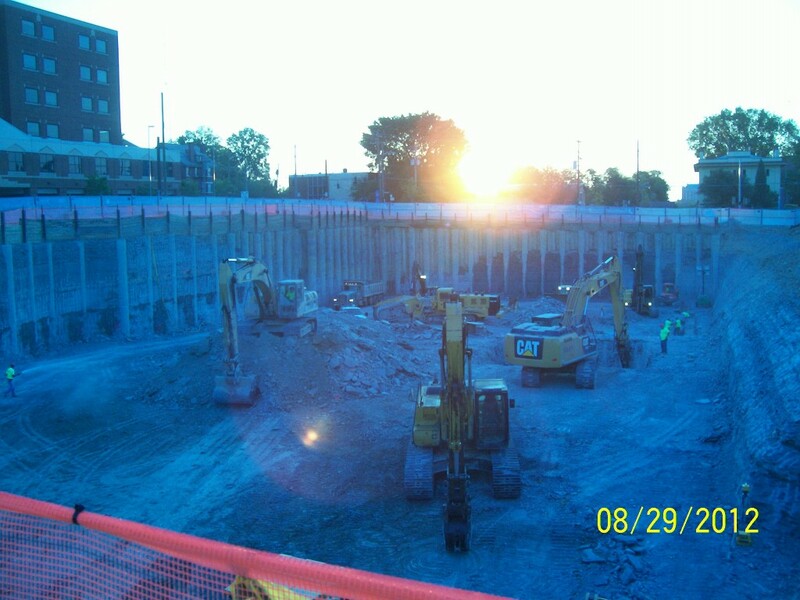 All Rights Reserved Bray Construction Inc.